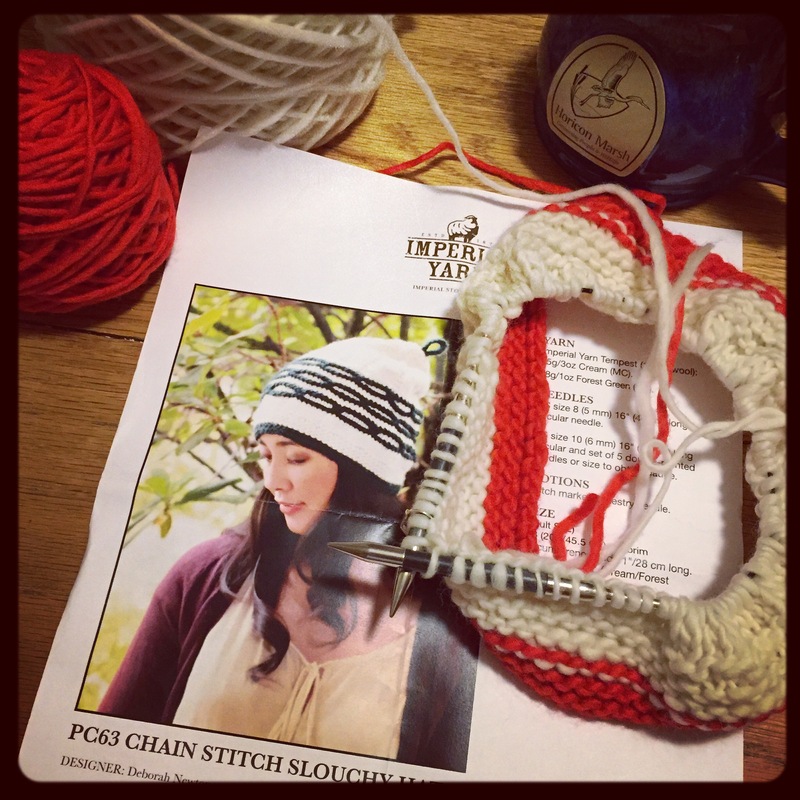 Just before the Christmas holiday, I shared that I had planned to make my Christmas Eve cast-on a very special one — the Chain Stitch Slouchy Hat kit from Imperial Yarn. Like so many knitters, I’ve been admiring Imperial Yarn for a while so the chance to get some of it on my needles was exceptionally exciting. I wasn’t disappointed. 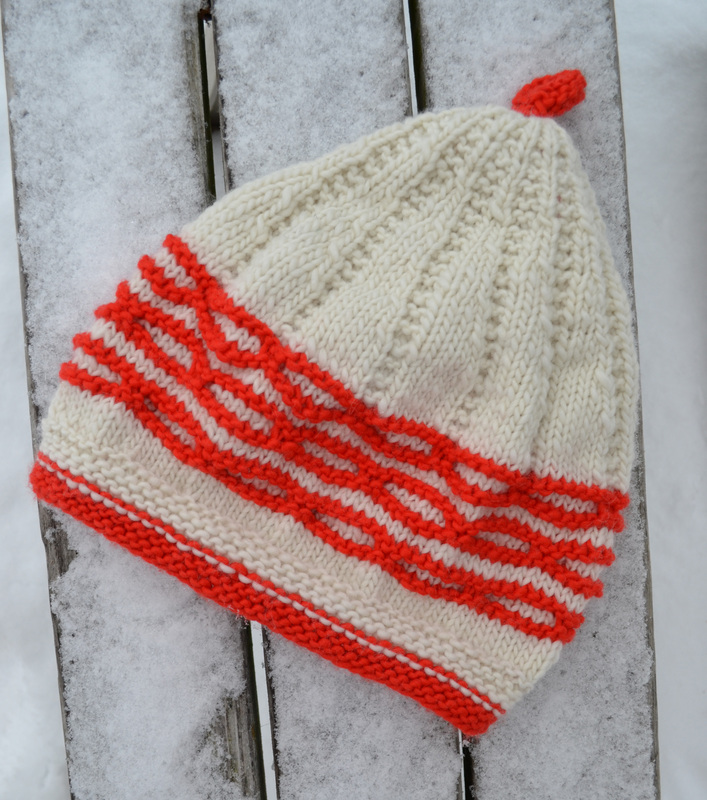 It was a great project to pass the time as we waited for family to arrive for the holiday festivities — a simple design plus scrumptious yarn. Tempest, an incredibly soft single, is a yarn only available in this kit and what a perfect treat it was! So I snuck time while the kiddos went sledding and then again during quiet time in a couple days worth of my precious early morning quiet moments. A finished hat happened! It’s really a uniquely shaped hat and while I was knitting it I was really curious how it would look on my head. The answer? It’s a pretty snazzy slouchy hat! The combination of the ultra soft yarn & extra slouch make it great for cold winter walks. And the super cool slipped chain stitch is very cute. 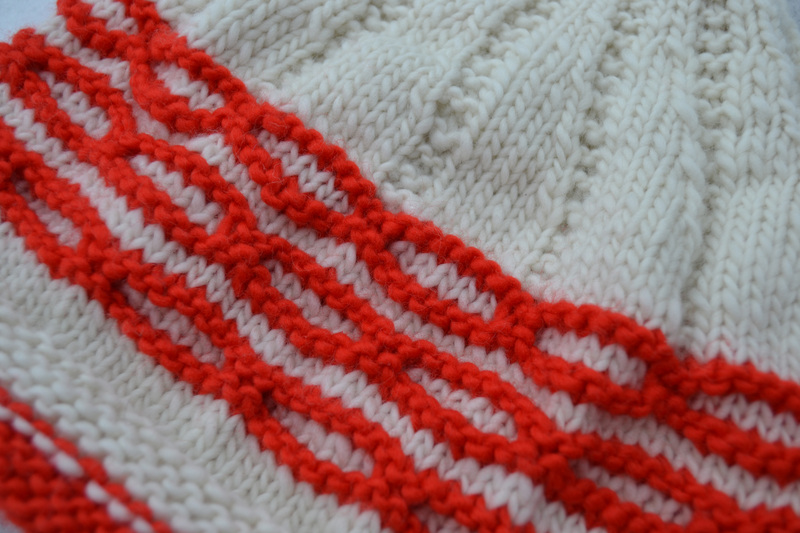 I also love those garter stitch columns that run the length of the hat — such a great design touch! Deb Newton, the designer, did a truly great job with this pattern. It was well-written & easy to follow. What’s even better is that she’s been available throughout the knit via the special Deb Newton Collection KAL being hosted over in the Imperial Stalkers Ravelry group. It’s been very fun to share pictures and chat with the designer herself in the forum. And there’s still time to join in on the fun of this KAL which runs through the end of the month. There are 9 patterns to choose from (you can check the list out here), many of which are pretty quick knits, and at the end of the KAL one lucky participant will win a sweater’s worth of Imperial Yarn. That’s pretty phenomenal incentive and a great excuse to try out one of these awesome patterns & some lovely Imperial Yarn if you ask me! I’ve loved this quick & fun project, learning about the awesome history of Imperial Stock Ranch, and creating with this new-to-me yarn. I even have a cozy new hat to show for it! 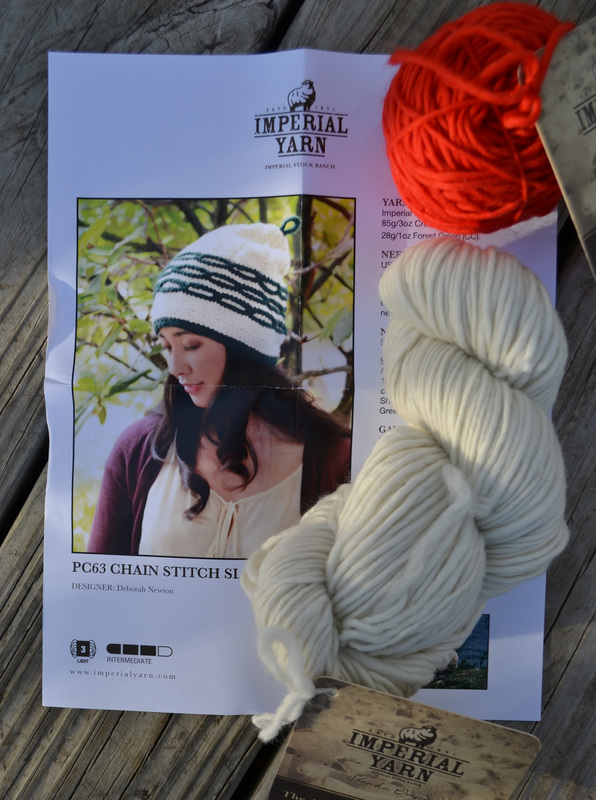 This project definitely has me eyeing the other yarns and pattern ideas from Imperial Yarn – I hope you’ll find some time to give them a try soon, too! Many thanks to Imperial Yarn for inviting me to join this KAL & for Deb Newton for being such a fabulous & enthusiastic host for the KAL! 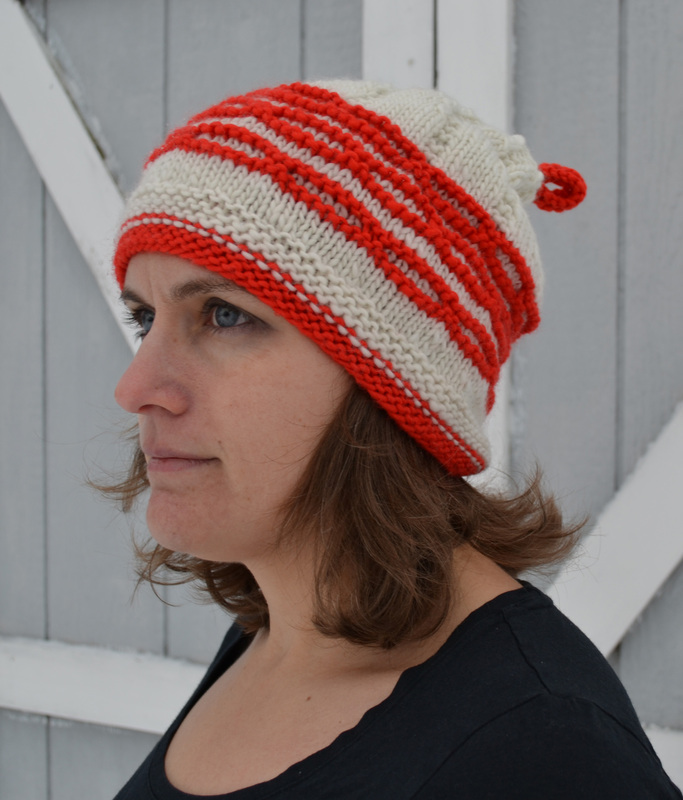 This is a very becoming hat and I love the red loop as the finishing touch! It *super* cute and cozy. Thanks so much! 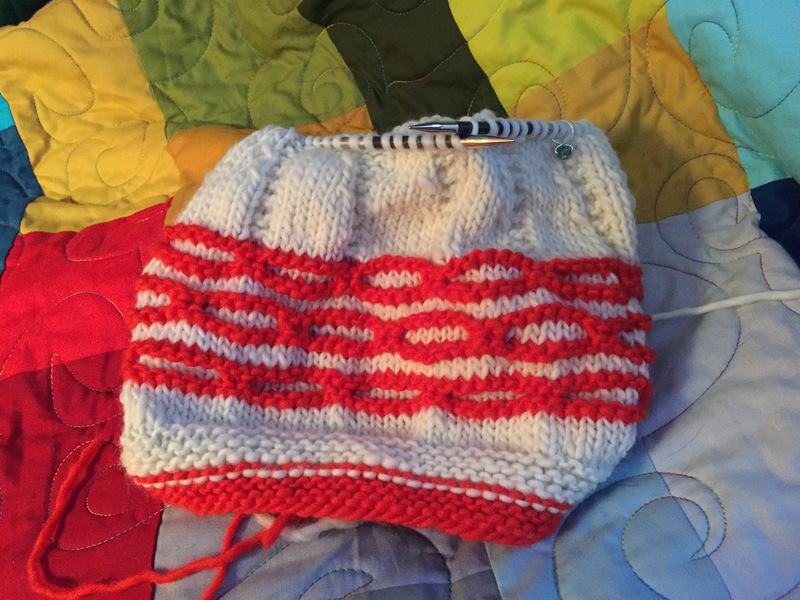 I just bought some Imperial Tracie Too for a test knit…it was too fine for the pattern, but I fell in love with it during swatching and can’t wait to find a pattern that will suit it!!! I was totally lurking on the Imperial Yarn website while I knit planning sweater after sweater of projects! It’ll be a special day when I finally settle on an idea and yarn!